A poignant and heart-wrenching story of the dissolution of a marriage seen through the eyes of an innocent childShe just sat there hardly moving, staring at the drive. Black marks formed under her eyes where her lashes bled their waxy coating onto her skin. Her rouged cheeks were smudged. Mother looked like she was melting in the heat. Faith leads an isolated existence on her family's drought stricken farm in the Northern Transvaal of South Africa. When the rain stopped, her father took to the road as a travelling salesman, returning only at weekends. Now Faith lives with her mother Bella and dog Boesman anticipating his visits - until one day he stops coming and Bella's health begins to go into rapid decline. Fifteen years later Bella has died incarcerated in the Sterkfontein asylum for the criminally insane. Faith has not spoken to her mother for ten years and is on the brink of a breakdown of her own. Now, with her mother's death, she inherits the farm and must return to confront the dark mysteries of the past . . . 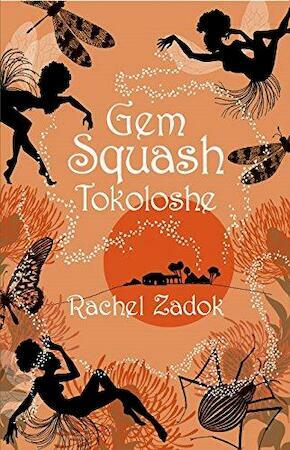 In prose as lithe and imaginative as that of Alexandra Fuller, Rachel Zadok te Riele recreates the voice of a young girl growing up during the height of apartheid unrest in South Africa. As Faith struggles to make sense of the complex world in which she lives and come to terms with the beliefs her society and upbringing have inculcated in her, what emerges is a richly compelling, emotionally resonant tale of courage set against the backdrop of a chaotically divided and deeply beautiful country.